Anglers had travelled from far and wide to Scotland for the opening of the 2015 Tay salmon season this morning. 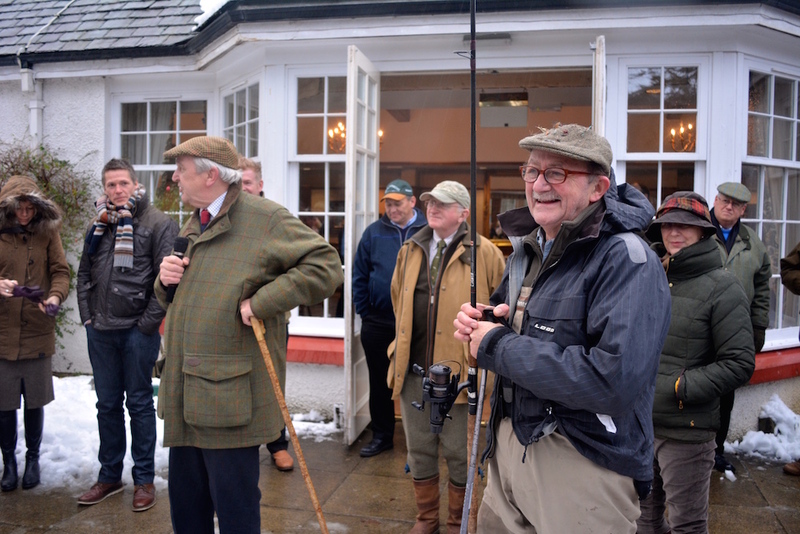 The Tay Foundation, Dunkled & Birnam Angling and Perth Chamber of Commerce enjoyed a business breakfast at the Hilton hotel before the blessing of the river and first cast at Dunkeld House Fishing. Guest speakers Paul Young and Bill Jack spoke about last year, the good spring run on the Tay and conserving Scottish salmon. They both wished everyone a good season and tight lines. 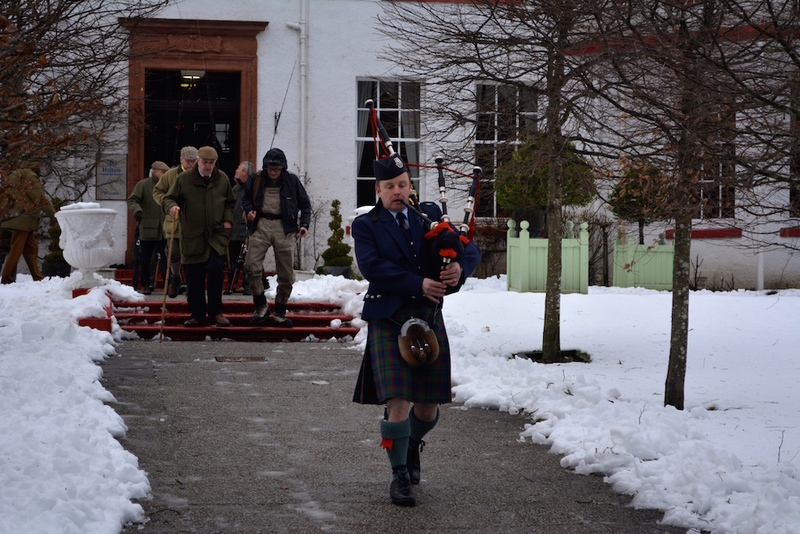 Anglers and guests followed the piper towards the river, for the blessing and first cast. 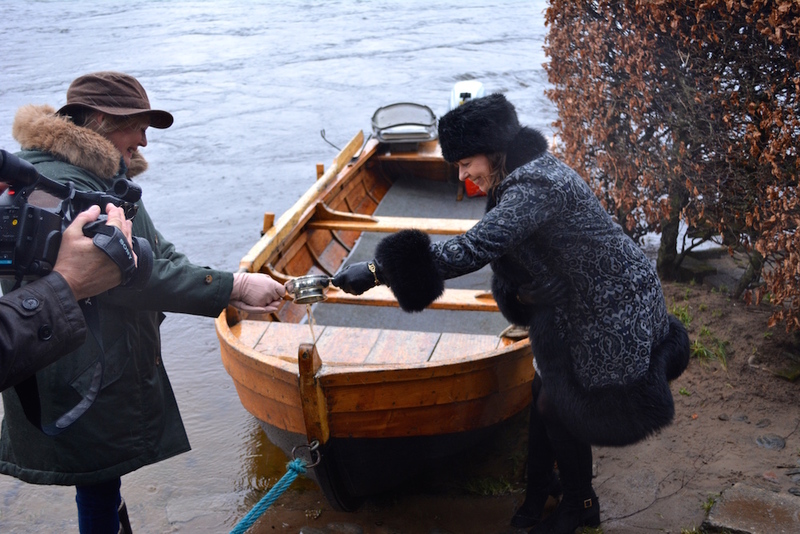 Complimentary drams of whisky were sipped by guests as Bill Jack offered the toast and blessed the water for the new salmon season. Celebrity angler Paul Young was rowed out into the river to make the first cast of the season – and wished everyone tight lines. Anglers fishing the river were met with water rising and snow melt colouring the river. Congratulations to Willie Cummings who caught Dunkeld House Fishings first springer weighing 19 lbs. The first declared Tay salmon of 2015 was caught by Samantha Data co-founder of the Scottish salmon fishing surgery on Dalmarnock beat. FishPal’s CEO Mark Cockburn has been meeting up with anglers and owners today on the river, whilst our Marketing Director had the pleasure of blessing the river at Newtyle beat with the new owners Mrs Linda Latimer and Mr Norman Burniston. Check latest availability for 2015 and to Book Fishing. Sign up to Weekly River Reports for the Tay.